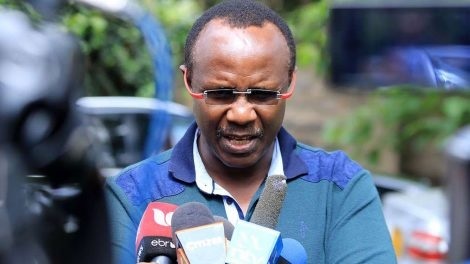 Thursday April 11, 2019 - National Super Alliance (NASA) chief strategist, David Ndii, has celebrated the ouster of Sudan President, Omar Bashir, by Sudan’s Army. Bashir, who has ruled Sudan for thirty years, was ousted and placed under house arrest by the Sudanese Army. In a televised statement on Thursday, Sudan's Defence Minister, Awad Mohamed Ahmed Ibn Auf, Al-Bashir has been arrested and is in a safe place. He said the military has proclaimed a State of Emergency and established a council to run the Government for a two-year period. He also said all State and local governments have been dissolved. Ndii, who is an Economist, celebrated the ouster of Bashir saying even President Uhuru Kenyatta should watch carefully because Kenyans are not happy with his administration. “Not just M7. The Kenyatta bots are on overdrive on my TL with scaremongering and convoluted arguments against revolution,” Ndii said. Those are sentiments of a single person and not the Kenyan populace! Kenya is not Sudan chief, we are a breed like no other. We have what it takes to be trampled, peed, crapped on, looted, bled bone dry and still cheer on our elected tormentors to do even more perverse things on us without a care in the world. We are happy to lead by people with serious court cases against the very constitution that speaks against it.